Los Llanos Mérida region in the Venezuelan Andes and Los Llanos. A few months ago we posted a message alerting everybody to a "situation" that we were having in Venezuela. Things have improved somewhat and we have been able to offer various tours for three or more people once again. Logistics are still a challenge, with some irregular flight cancellations, but if you are prepared to go with the flow we invite you get in touch with us. The ultimate adventure (scenery and wildlife) from the Andes to Los Llanos. Angel-Eco Tours’ motto is built on the foundations of the International Ecotourism Societies’ model of true sustainable and ecotourism principles. 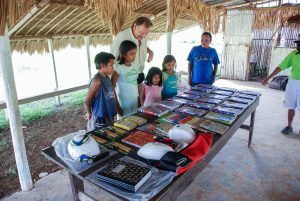 We really believe in helping the communities that we visit and have been involved in the set up of two not for profits www.angel-conservation.org and www.fundacionetnika.org in order to do our part. 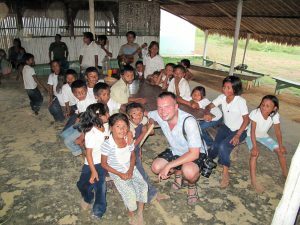 So many of our trips – whether long or short programs, have provided something to help the communities of Canaima National Park especially, as well as the Amazonas. In fact, folks often help us to assist the indigenous folks even without visiting. I think that is a credit to the work we do. This message is from Paul Graham Stanley the President of Angel-Eco Tours. Few destinations on earth can boast the geographic and cultural diversity of Venezuela. On your adventure vacation with Angel-Eco Tours, your senses will be flooded with the sights and sounds of unspoiled natural wonders, from Angel Falls and vast rainforests to glorious beaches and crystal blue waters of secluded Caribbean islands. Whether you are interested in hiking, trekking, kayaking, wildlife photography, bird watching, scuba diving or meeting Venezuela’s native peoples, Angel-Eco Tours can make your adventure dream a reality. Venezuela has a rich cultural heritage, which boasts no fewer than 31 Indigenous tribes. 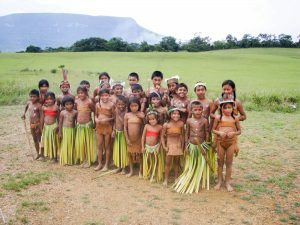 The Pemón of Canaima National Park, the Warao of Delta Orinoco and the Piaroa of the Amazonas – just but a few of the indigenous communities that one can visit with your hosts at Angel-Eco Tours. Of course there is more to the Venezuelan culture than just the indigenous tribes, the many different peoples that have made it home have had their influence on Venezuela. It has its own distinctive architecture, art, literature and music. The country’s music combines Spanish, African and native rhythms. The national dance is the joropo, which features vocals, guitars, maracas and harp. Along the coast there is a strong African influence where the locals dance the sensual tambora to powerful drum rhythms and in Zulia state “gaita” is the popular style. You could experience it all with Angel-Eco Tours.